Rob is a Visiting Professor at King’s College, London and a Visiting Fellow at the Institute of Development Studies, University of Sussex. He is a member of the Advisory Group on Evaluation and Learning at the Climate Investment Funds at the World Bank, and an advisor to the Independent Evaluation Unit of the Green Climate Fund, as well as a member of the Advisory Committee of Wilton Park in the UK. His past positions include Director of the Independent Evaluation Office of the Global Environment Facility (2004-2014), Director of the Policy and Operations Evaluation Department of the Dutch Ministry of Foreign Affairs (1999-2004), Senior Advisor on Research at the European Commission and various positions in Dutch development cooperation. From 2002 to 2004 he was the chairman of the OECD/DAC Network on Development Evaluation. He has published more than 25 articles on development, research and evaluation and has co-edited five books. He studied contemporary history at the University of Groningen in Netherlands. Cristina has PhD in Language Sciences as well as being an IPDET graduate. She is certified in Institutional Assessment by the Brazilian Ministry of Education and Culture and is a Professional and Life Coach. 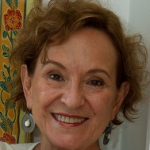 For 26 years she has been a full professor in the leading Brazilian University UFMG, as well as being an associate professor, visiting scholar and researcher at various other academic institutions. As a Senior Education Expert Consultant, Cristina worked for the Brazilian government evaluating Universities and Faculties, and for UNESCO evaluating the Brazilian Ministry of Education Observatory of Education’s institutional capacity for the improvement of basic education research grants programs. She has authored several publications, either alone or with academic and professional partners. Second Term of Office expires 31 March 2021. 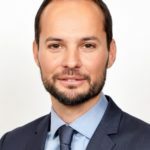 Jérôme currently works as an evaluator at the European Investment Bank. He has over 12 years of professional experience in project management, advisory and evaluation in development and finance sectors. He has led and been involved in over 25 programme evaluations in Asia, Africa, Latin America and the Caribbean for a wide range of public institutions, such as the United Nations, the World Bank Group, some international foundations and NGOs as well as national governments . Aside his professional duties, Jérôme is actively involved in evaluation societies and networks. Jérôme served as a Board Member at the Société Québécoise en Évaluation de Programme (SQEP) between 2014 and 2016. Amongst other achievements, he co-founded in 2016 and co-coordinated the Réseau Francophone des Évaluateurs Émergents, that currently gathers more than 700 members from 25 countries. Jérôme currently serves as the IDEAS Treasurer and Executive Committee member as well the leader of IDEAS’ working group for Young and Emerging Evaluators. 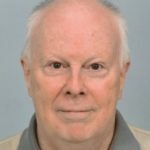 He is also a regular member of the Canadian Evaluation Society and the European Evaluation Society. As a result of his extensive and proven experience in evaluation, Jérôme got designated as a Credentialed Evaluator by the Canadian Evaluation Society since 2014. He has three masters degrees in Geography, Political Sciences, and Business Administration, as well as a PhD in Geography. Jérôme is fluent in four languages (French, English, Spanish and Italian). 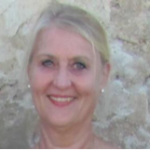 Zenda is a full-time independent evaluator from South Africa, currently based in Geneva. With a PhD in (Ecological) Chemistry, she was a senior manager in a South African science council and Director Research for the University of Pretoria before turning to evaluation. Since 2000 she has worked across the world from local to global level on the interface of science, evaluation and development, with a special focus on Africa and Asia. 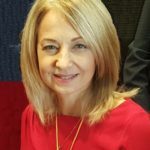 She is a former AfrEA President, IOCE Vice-President and AEA Board Member. She has been a visiting professor at Hiroshima University and for several years presented an Aid Effectiveness module at the United Nations University (UNU) in Tokyo. At present she is an Honorary Professor at the School for Public Leadership at Stellenbosch University, a member of the EvalSDGs reference group, and Lead Steward of the SDG Transformations Forum A&E Working Group. She has recently been invited to become a Richard von Weizsäcker Fellow in Berlin. She is also a keen blogger on Evaluation for Development. 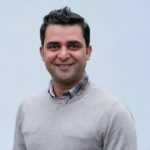 Hur Hassnain is a design, monitoring and evaluation and accountability and learning expert with fifteen years of hands-on experience working in fragile and conflict-affected contexts in Africa, Asia and the Middle-East. In his professional career Hur has successfully designed, commissioned and conducted research and evaluations in insecure environments for the UN agencies, European Commission, private donors and governments of Canada, Norway, Switzerland and the UK. Hur is an expert in participatory MEL approaches and has developed innovative tools that have been presented internationally. He works with Oxfam GB in Oxford as Global Adviser Planning, Monitoring, Evaluation and Learning – Conflict and Fragility. He works with others to shape Oxfam’s thinking on effective and conflict sensitive monitoring and evaluations in highly insecure environment Oxfam works in. Previously he worked with War Child UK as their MEAL Advisor where he established the MEAL unit and led on Impact Reporting. He holds dual Master’s Degrees in Business Administration (MBA) from University of Sindh, Pakistan and Development Studies (MDS) from COMSATS Abbottabad, Pakistan. Hur is fully proficient in five languages. His collection of Urdu poetry was published in Pakistan in 2006. 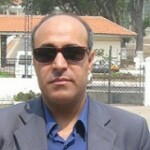 Awny Amer is an independent Research, Monitoring & Evaluation consultant, based in Egypt. Awny got a master degree in psychology and mental health on 1989. He has 30 years of experience in development & evaluation. Awny started his career with Plan International Egypt where he worked for over 22 years. In 2009, after accumulating extensive experience, Awny established himself as an independent R&E consultant. Throughout his career in the R&E field, Amer has had the opportunity to lead and conduct different R&E processes, surveys, and situations analysis for diverse programmes addressing children, youth, women and other vulnerable groups. Awny has worked extensively with the United Nations (ESCWA, UNICEF, UN Women, UNDP, UNRWA and WFP) and other global and national NGOs (including Oxfam, IDRC, CARE, Save the Children, Inter News, Search for Common Ground, Right to Play, War Child, Drosos and Plan International) among others. Having worked in different countries in the MENA region, he has gained extensive regional experience. Awny always applies a combination of qualitative & quantitative methods with special focus on the participatory M&E approach, methodologies and tools including Most Significant Change (MSC) technique, storytelling techniques, longitudinal study processes, FGDs, case studies, community reflection tools and others in a consultative manner during the evaluation process to promote meaningful participation and strengthen the accountability practices on different levels. In addition to being an active member of the IDEAS Board, he also serves on the Boards of the African Policy Centre (APC), the Egyptian R&E network in Egypt (EREN) and the Community of Evaluators (CoE). He is a co-founder of the EvalMENA and active member of the African Evaluation Association (AfrEA). He has published a number of papers and abstracts which have been submitted to different international evaluation conferences. Awny has also translated key R&E publications including the “The Road to Results” and the “Most Significant Change technique (MSC) Guide”, among others. 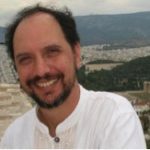 Pablo is a consulting sociologist, with 20 years of progressively responsible positions in applied and academic social sciences: evaluation, planning, community participation, and programme management. He is a Researcher at the CONICET (Consejo Nacional de Investigaciones Científicas y Tecnológicas), and is also Professor of Social Anthropology at the Department of Social Work, Faculty of Social Sciences, Universidad Nacional de San Juan. Pablo has specialized in evaluation of rural development programmes. He is experienced in bridging evaluation research and policy by interdisciplinary work, and interested in linking issues of relevance and applicability with high standards of evaluation quality. His professional work experience includes consulting work for the World Bank, Argentine Government, and the LENTISCO Network (Latin America-European Network for Technology Innovation Studies and Co-Development, financed by the EU). A Social Worker by profession, Josephine Watera is the Head Monitoring and Evaluation Division in the Parliament of Uganda with over ten (10) years working experience in program designing, implementation, performance management, evidence-based decision making and monitoring and evaluation. Josephine is a triple masters’ degree holder: Monitoring and Evaluation; Business Administration; and Social Sector Planning and Management. She participated in the International Development Evaluation Training Program (IPDET, 2010) – Carleton University, Ottawa Canada. 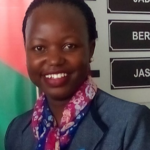 Josephine is Advisory Committee member, Africa Center for Evidence (ACE), University of Johannesburg and Executive Committee Member of Uganda Evaluation Association (UEA). Currently she is a Mentor in the EvalYouth International Mentorship Program by EvalPartners. Josephine is a co-team leader of a taskforce currently reviewing the African Evaluation Guidelines spearheaded by Africa Evaluation Association (AFrEA). At national level she has spearheaded the following: development of Uganda Evaluation Association strategic plan 2017; hosting of the 8th Africa Evaluation Association (AFREA) Conference in Uganda in 2017; mentoring of the Burundi Evaluation Association; monitoring and evaluation resource person in the Institute of Parliamentary Studies, organization of Uganda Evaluation Weeks and development of Uganda Evaluation Standards. Josephine is a member of: Uganda Evaluation Association, America Evaluation Association, Canadian Evaluation Society and South African Monitoring and Evaluation Association. Inga-Lill has a PhD in cultural anthropology from Uppsala University, and is Senior Lecturer in Museum and Cultural Heritage Studies at the same university. She has more than 10 years of experience of advanced multi- and interdisciplinary academic work. Her main research interests are conflict and heritage, memory and reconciliation and longitudinal research on involuntary resettlement. She is the former Director of NOHA (Network on Humanitarian Action) (2005-2011), and from 2012 Member of The NOHA Steering Committee. She is as well Member of The International Network on Displacement and Resettlement (INDR) and Member of the Research Colloquium, The Swedish Research Institute in Istanbul. Among her past commissions of trust are Board Member of Forum for Latin American Studies (2015-2017), Member of The Recruitment Board of the Faculty of Arts (2009-2011), Board Member of the Faculty of Arts (2005-2011), Uppsala University. She is gender pro-active and she has initiated several faculty funded gender projects. She has authored and co-edited several publications on negotiations in resettlement, local participation, gender and peace museums.